Blithewold is a historic house museum; everything displayed in the Mansion belonged to the Van Wickle family. The rooms are authentically furnished as they were when photographs were taken for Country Life Magazine in 1910, and the china and crystal collection is on permanent display in the Butler’s Pantry. 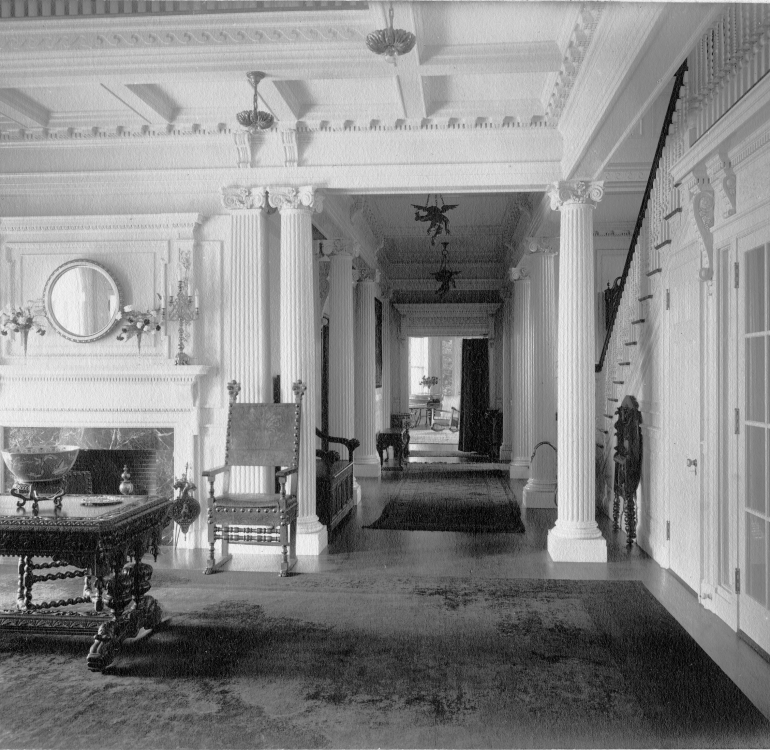 The third floor of the Mansion is devoted to the safe storage of the remaining collections, including clothing and jewelry, toys and sporting equipment, books and paintings, journals and home movies, and thousands of letters and photographs. These collections are shown in special changing exhibits throughout the mansion. In this exhibit are two of the costumes that 19-year-old Marjorie had commissioned to be made in Paris, at her mother’s request. Beautiful as they are, however, fashion was not uppermost in Marjorie’s mind. She resented the time spent shopping and going for fittings when she would far rather have been out on the Paris streets. “I am moaning and groaning at the thought of getting my summer clothes in Paris,” she wrote to her mother Bessie. Marjorie commented on the ordeal of her last fitting for the dress seen in the main exhibit space: “that time I only had a two-hour stand.” How fortunate we are that she endured, for 112 years later, we can all enjoy this lovely gown’s delicate, sophisticated beauty. Postcards and letters are placed throughout the exhibit ¬– just a few of the hundreds Marjorie sent home that year. You will also see images of Paris that were painted by Marjorie on later visits. A smaller exhibit in Marjorie’s bedroom focuses on a trip made in 1869 by Marjorie’s uncle Israel Pardee. He was 16 years old at the time and wrote a 300-page journal describing his one-year tour of Europe and Russia. An album that he put together is composed of plant samples he collected along the way. Each page is artistically arranged and annotated. The album is on loan from the Hazleton Historical Society. A small display case in the Billiard Room is used for exhibits that change regularly. In April and May, visitors will see a curious collection of pipe-cleaner dolls from Marjorie’s large collection of dolls from around the world.